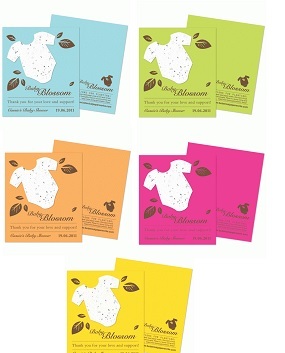 Celebrate the arrival of the little one with our plantable seed Onesie baby shower favors. In fun & fresh colors, these unique favors grow into wildflowers when planted and will provide a lasting, blooming memento of this joyous occasion. The onesie shape is made of plantable paper from post-consumer materials, so it leaves no waste!